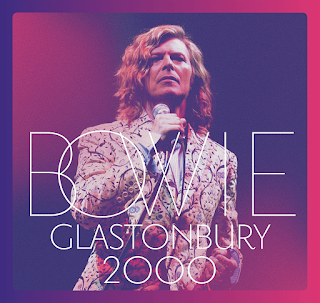 What a truly wonderful year 2018 has been for David Bowie live releases - "Welcome To The Blackout", the two concerts on the "Loving The Alien" box set and now this, his long-awaited Glastonbury headline appearance from 2000. 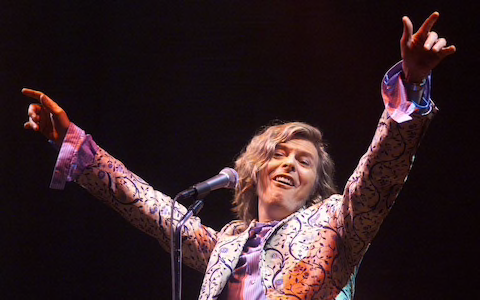 This is manna from Heaven to Bowie enthusiasts. Admittedly it is a bit of a "greatest hits" exercise as opposed to, say, 2003's "Reality Tour" set list, but you have to expect that from the Glastonbury set up. You don't want people moaning "he didn't play "Let's Dance"...." after all. The first thing that hits you when the absolutely tip-notch band kicks into a haunting but powerful "Wild Is The Wind" is just how damn superb the sound is. Well, it is for me, at least. Nothing "bootleg" about it. Audiophiles may disagree but it suits me perfectly - full, muscular and bassy, as it should be. Bowie's voice is outstanding on this opener too, doing justice to a great song and the guitar at the end is sublime. One song in and I am completely immersed in this. Looks like another "Bowie day" coming up. "China Girl" is thumpingly more attacking than the original, which I like. More excellent guitar on here too. It's old 1974 mate Earl Slick, so what did one expect? Mike Garson is on piano too and you can hear his trademark sound all over the album (check out the bit at the end of "Fame"). I really like this interpretation of "China Girl". One of the best ones around. The piano is almost E. St Band at the end. The guitar/piano/vocal interplay is stunning. 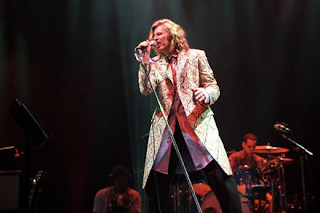 "Changes" is given a huge, pounding sound in between Bowie's iconic verses. It is played in a "David Live" style, in terms of its full-on assault, well that's what it reminds me of anyway, although there is no saxophone. Look, I could carry on saying how wonderful every track is. I am sure you don't want to plough through all that but needless to say I just have to reiterate just what a pleasure it is listening to this. Just check out the verve and funky vigour of "Stay" - it's guitar its delicious bass, its funky drums. Just great stuff. Good Lord above I miss Bowie. Thankfully releases like this keep coming along with regularity to sate my appetite for more. I couldn't recommend this highly enough. There will be some who will no doubt disagree, as that seems to be the way with Bowie releases these days, but i am sure 90% will just sit back and enjoy this. Lovely to hear "Absolute Beginners" given an outing, in its full version too, (it makes my soul soar at the "it's absolutely true" bit), and "The Man Who Sold The World". Great to hear that. "Ashes To Ashes" is just barnstormingly atmospheric. "Golden Years" too. Wow. Wonderful. 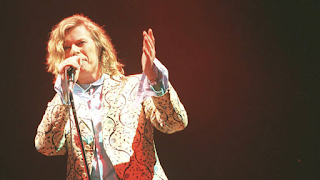 "Starman" is as good as have ever heard it, too. It doesn't often get an airing, either. I'm sure you can tell by now that the set list is great, Bowie is on fire, the band is marvellous, the sound similarly so. Bowie says at the beginning of "Life On Mars?" that he had been suffering from laryngitis earlier in the week. You would never had known. His voice is sublime. It is one of the finest live versions of "Mars?" I have heard, if not the best. Listening to it sound so good just makes me feel sad. He wouldn't want that, though, he would want his remarkable work to be enjoyed to the full. So I will.